Dr. Nirmal T. Sunkara is a board-certified internal medicine physician and interventional cardiologist. After graduating from the Guntur Medical College in Andhra Pradesh, India, Dr. Sunkara completed an internship at the Government General Hospital in Andhra Pradesh. He then went on to complete a residency in internal medicine at the University of Nevada School of Medicine in Las Vegas, where he became a chief medical resident. Dr. Sunkara continued his educational training at the University of California Irvine as a chief fellow in cardiology. During that time, he was honored with the Excellence in Cardiology Fellowship Award from the American College of Cardiology-California Chapter. From there, Dr. Sunkara became an interventional cardiology fellow at the University of Utah, followed by a VIVA fellowship in structural heart and endovascular interventions at the Wellmont CVA Heart Institute in Kingsport, TN. 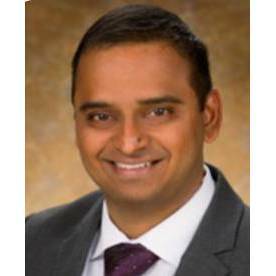 Dr. Sunkara is a member of the American College of Cardiology, the Society of Coronary Angiography and Interventions, and the Vascular Interventional Advances (VIVA).